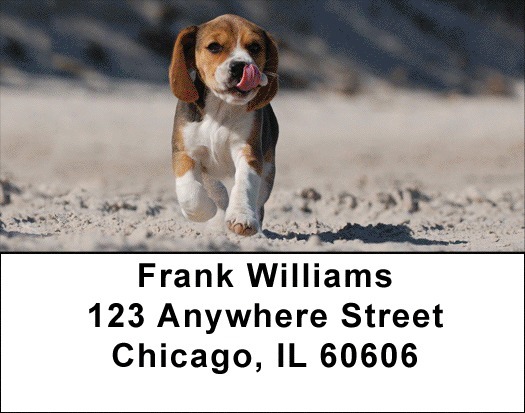 "Beagles Are Brilliant Address Labels" product is already in your cart. Beagles Are Brilliant Address Labels depict 4 images of adorable beagles at rest and play. Beagles are bred to track scents and to hunt in packs. Thus they are social animals that need a lot of love and attention. They are prone to follow a scent regardless of impediments and will not answer your call without lots of training. They love food and will get into the garbage, so watch them carefully! Matching checks are also available.